Malaysia has many beautiful islands and tourist attractions. Even coral and marine life found in several islands in the country is among the most beautiful in the world. If you have not been enjoying the island before, try it, as you do not require a huge cost. For visitors who seeking a islands destination for a holiday , we list here Malaysia’s islands that are interesting to you. Pulau Langkawi is a very popular holiday destination. One of the interesting islands in Malaysia, Langkawi is part of the state of Kedah. Visitors can fly directly to the island of Langkawi or take a ferry from Jeti Kuala Perlis, Kuala Kedah, and Penang. Langkawi is an island that is quite large and has good access to the main road. There are plenty of accommodation for tourists such as hotels, resorts and homestays. 1. Visit the beautiful beaches and islands. 3. Shop for the island of Langkawi is a duty-free island. Pulau Payar Marine Park in Kedah also very beautiful and interesting. It is the best marine park on the west coast of peninsular Malaysia for diving to see the beauty of corals and marine life. But because there is no accommodation available on the island, so we did not include it as a holiday island in Malaysia. Visitors coming to this island can take packages from tour operators in Langkawi or Kuala Kedah. Interesting island in the second Malaysian Pulau Pangkor. It is an island of the most popular holiday destinations in the state. The island is famous for its beautiful beaches, clear water and suitable for bathing. 1. A lot of beautiful beaches and islands for bathing, snorkeling and relax enjoying the beauty of nature. 2. Place a historic place to visit. 3. Activities water sports such as kayaking, snorkeling, and scuba diving. 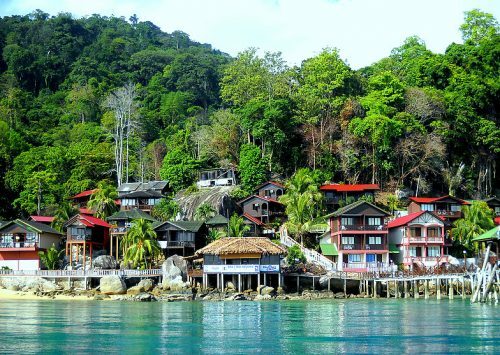 See article: Points of interest in Pangkor for more information. Pulau Perhentian is another destination popular holiday island in Malaysia. It is located in Terengganu. Pulau Perhentian consists of two main islands of Pulau Perhentian Besar and Pulau Perhentian Kecil. Customers who want a holiday to Pulau Perhentian Besar can take a lot of packages provided by the resorts that are there. What’s more, travelers can also continue to Pulau Perhentian although not book a package and get accommodation for ‘walk-in’ in Pulau Perhentian Kecil. All tourism activities can be obtained from the chalet operators on the island. See the article: On a holiday to Pulau Perhentian for more information. 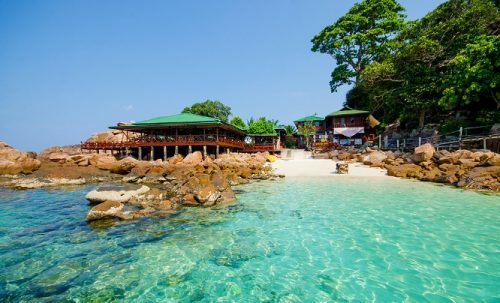 Pulau Kapas, Terengganu in Malaysia is between the island and is a very beautiful holiday island has long been known for having a very beautiful beach. The sand is white like cotton, sea water is crystal clear and has a very interesting marine life. 1. unspoiled tropical forest suitable for jungle trekking and see a variety of flora and fauna. 2. The sea water is crystal clear and the sea is rich with coral and marine life is pretty great for snorkeling and scuba diving. 3. A variety of activities can be done such as beach sports, sea kayaking, and fishing. 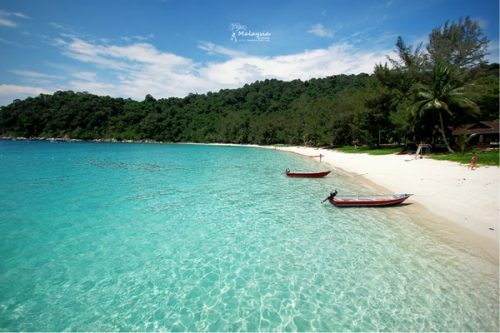 See the article: On a holiday to Pulau Kapas, Terengganu for more information. Interesting island in Malaysia which in turn is Redang which is another popular tourist island located in Terengganu. It has long been known and is more advanced as well as developing the tourism sector compared to Pulau Perhentian. All accommodation facilities for tourists is resorts based. Six resort is located on the longest beach in Pulau Redang of Pasir Panjang. While there are other resorts on the coast of Teluk Dalam and Teluk Kalong. 1. Turtle nesting area. Visitors can see the turtles laying their eggs if they are lucky. 2. Walk through the jungle and see the sights around the island. 3. 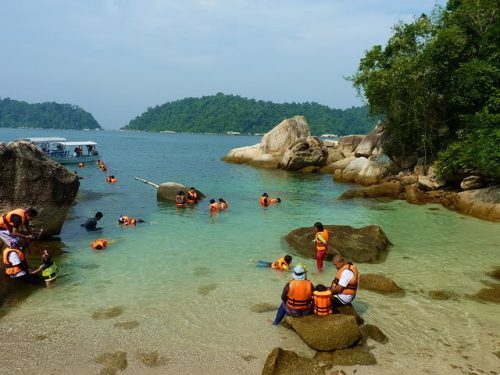 Snorkeling in several areas of interest that exist in Pulau Redang. See article: Holiday in Redang for more information. The only interesting island in Malaysia is located in the state of Pahang. 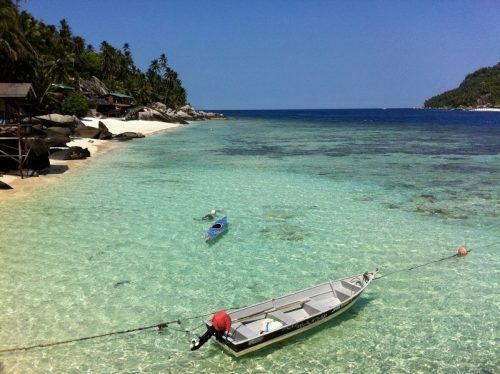 Tioman Island is located in the coastal waters bordering Pahang and Johor. The island has long been famous and being a holiday destination for tourists from outside the country should not doubt her beauty, especially the beaches and clear blue waters. 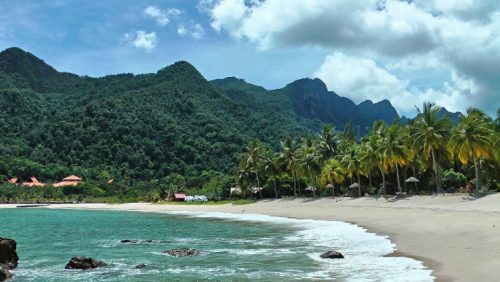 Pulau Tioman ideal for holidays because there are many interesting and various resort activities that can be done to fill your holiday. Even in Pulau Tioman, there are also many resorts and chalets that offer low prices for travelers. 3. Climb up the hill. 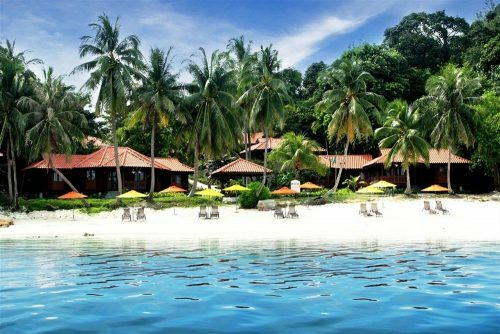 See article: Holiday in Pulau Tioman, Pahang for more information. Sibu is one of the tourist destinations in Johor. 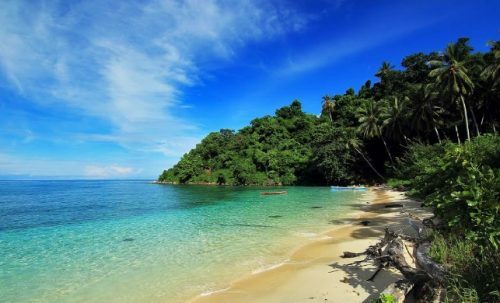 Situated near Mersing, Pulau Sibu consists of four beautiful islands of Pulau Sibu Besar, Pulau Sibu Tengah, Pulau Sibu and Sibu Kukus. Most of the resort is located in Pulau Sibu Besar. Unlike Pulau Perhentian, Pulau Sibu ferries to specially prepared by the resorts there. So visitors should take a tour package from any resort for a vacation on the island. See article: Sibu attractive holiday destination in Johor for more information. Another interesting island off the coast of Mersing. Aur Island is a popular destination for scuba divers because there are a variety of species such as barracuda, stingrays, turtles, sharks and many others. 1. Dayang Blues Resort, Pulau Aur. 2. Bluewater Resort, Pulau Aur. 3. Atlantis Bay Resort, Pulau Aur. 4. Diver’s Lodge, Pulau Aur. 5. Aur Sebukang Bay Homestay, Pulau Aur.